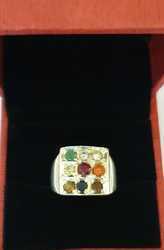 Our product range includes a wide range of navgraha natural silver ring, natural navgrah ring, navratnas ring, navratna ring, pure navratna ring and kachhua navratna ring. 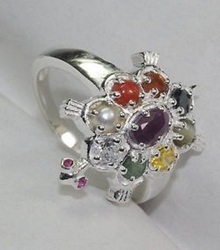 The ancient origin of the Nine Gems called Navaratna in Sanskrit, Hindi, Kannada, Burmese, Indonesian, and Nepali, Navarathinam in Tamil, Navarathnalu in Telugu, Navarathnam in Malayalam, Navaratna in Singhalese, Nawaratna in Malay, and Nawarat or Noppharat in Thai—has proved impossible to trace. 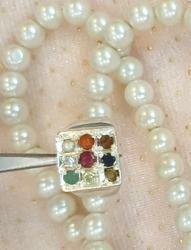 Yet such importance is given to this combination of nine gems that they are recognised as sacred and royal in almost all the countries of Asia, including, India, Nepal, Sri Lanka, Singapore, Myanmar, Cambodia, Vietnam, Indonesia, Thailand and Malaysia, regardless of religious and cultural differences. 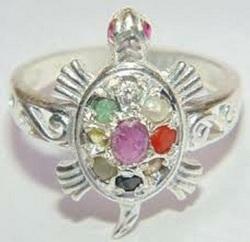 Navaratnas are considered auspicious and believed to bring good health to whoever wears it.Navaratna ring can be worn by anyone and doesn't have any negative effects, The Navaratnas/Navratnas are the sacred nine gemstones as per Vedic texts and Indian Astrology that have a profound impact on human life. These Navratnas are linked to the nine planets also referred to as the Navagrahas and are recommended after the detailed study of the Kundali/ Indian Horoscope. 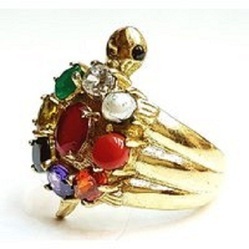 Recommendation of correct gemstones by Vedic Astrology is an ancient art practiced and revered since eons and bring about magical changes in individual lives. 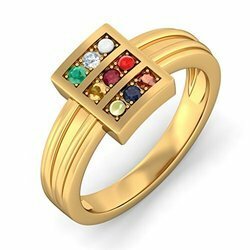 The Navaratnas/Navratnas are the sacred nine gemstones as per Vedic texts and Indian Astrology that have a profound impact on human life. These Navratnas are linked to the nine planets also referred to as the Navagrahas and are recommended after the detailed study of the Kundali/ Indian Horoscope. 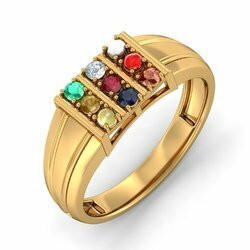 Recommendation of correct gemstones by Vedic Astrology is an ancient art practiced and revered since eons and bring about magical changes in individual lives.